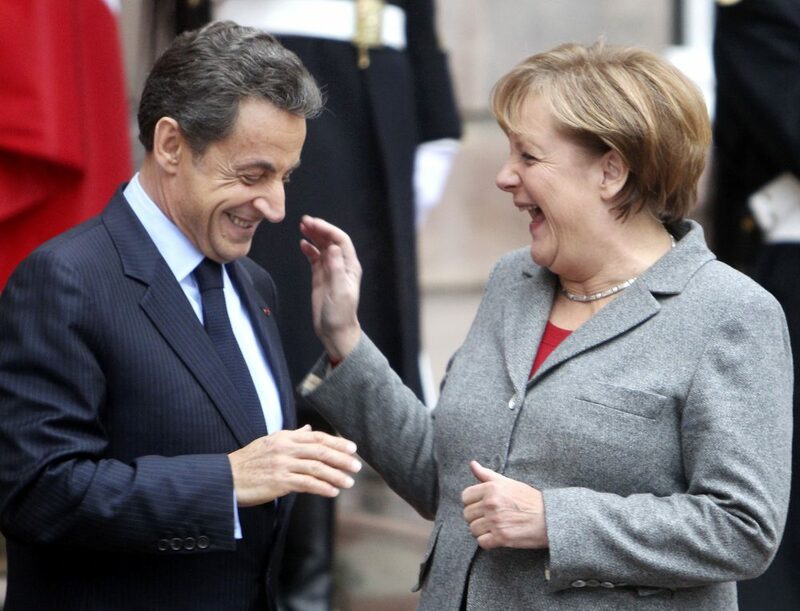 To understand Europe’s humor is to understand its history; satire and politics have long gone hand in hand. Whether in drawings, ballads, or prose, humor has long provided a counterbalance and provocation to the political consensus of the Old Continent. Etiquette—that complex network of courtly conventions that we might today call political correctness—may have played a significant role in regulating people’s behaviors and social interactions. But humor has always been the people’s weapon of choice to challenge and criticize these norms when they become too oppressive. As such, comedy has historically played a refreshing, humanizing role in our evolution, and it’s largely changed Europe for the better. When Louis XVI, the king deposed by the French Revolution, climbed onto the scaffold to face his execution in 1793, the first thing on his mind was probably not the thousands of contraband caricatures of him that had started to circulate before his fall from grace. But such revolutionary mockery was central in swaying public opinion, and these cartoons almost certainly helped to seal his fate. A century later, when Irish folk musicians wanted to spread a political message through their songs, they wrote witty laments on the sorrows of their troubled country, often at the expense of their hated British colonizers. Move on another century, to any Communist regime behind the Iron Curtain, and it was commonplace to tell jokes ridiculing aberrations and excesses of the ruling regimes. Even the party faithful, in private, would swap their favorites—not knowing that their backstage laughs helped to put the last nails in the coffin of the Soviet empire. This struggle between those who respect convention and those who transgress it not only shaped the course of European political history, it also created space for the development of certain brands of satire that yielded some of the continent’s wittiest cultural exports. In the United Kingdom, criticism of the stuffy upper classes gave rise to a humor shaped by absurdity, sarcasm, and self-deprecation that lives on in the tradition of comedies like Monty Python and Mr. Bean. In France, the pre-revolutionary counterculture launched a tradition of satirical drawings that the French still chuckle at today, whether it be the daily front-page cartoon that continues to appear on the front pages of the wide-circulation paper Le Monde or the cartoons seen in the more specialized weekly scandal sheets like Le Canard Enchainé or Charlie Hebdo. In Scandinavia, the predominant style—known as galghumor, or gallows humor—still showcases a wit as dark as the long northern winter. Just as these specific senses of humor can explain what defines these European nations, it can also help explain what binds them together. Charles de Gaulle once famously asked, “How can anyone govern a country which has 246 varieties of cheese”? He was talking about the difficulty of finding consensus within a single country, but his point can be taken even further—how do you make a common political culture on a continent which features so many different traditions and sensitivities, including those found in their humor? That’s been a pressing question since World War II, when Europeans began attempting to form an ever-closer union of countries, cheeses, and even transnational jokes. By far the dominant cross-country humor on the continent involves each of the countries lampooning their neighbors, serving up biting jabs tailored to each nation’s faults. The French depict the Belgians as simple-minded, the Spanish seem arrogant to the Portuguese, the Irish reckon Brits are all repressed, while Swedes portray the Norwegians as a bunch of oil-rich rednecks. In central and eastern Europe, the Estonians mock the hard-drinking Finns, the Slovaks make jokes about the overconfident Czechs, the Macedonians laugh at supposedly corrupt Greeks, and the Ukrainians make fun of the filthy rich but impolite Russians. You might worry that that these comedic insults would threaten to divide the continent, but really this humor has evolved to bring it closer together. Rather than signaling aggression or propagating ethnic stereotypes, these jokes seem to diminish rather than heighten hostility. In fact, researchers have argued that such humor can help communities to positively interact by reinforcing a common identity (we can laugh at the same thing!) while acknowledging diversity. While Europeans all like a good joke—particularly at someone else’s expense—most of the tellers don’t really buy these caricatures. When Swedes ask in jest why the library closed in Oslo, and answer “because someone stole the book,” they do so more as a good-natured nod to the traditional rivalry between fellow Scandinavians than out of a literal belief in their intellectual superiority. As in a good friendship, a little mischief with those dear to you is worth a thousand “I love you’s.” In this sense, a brotherly sense of humor between countries is the best that could have happened to Europe’s community and sense of self. The same applies to Polish jokes. In the mid-1990s, jokes about the post-Soviet Poles started making their first appearance in German TV shows and sketches. The Iron Curtain had just fallen, and Germany began to remember and re-engage with its neighbors to the east. The recognition through humor was only the first step to closer relations—Germany strongly supported Poland’s bid to join the European Union family, which it eventually did in 2004. And, of course, the German jibes at their neighbors to the east were more than matched. Poles have an extensive catalogue of jokes about the infamously humorless Germans. In this way, humor has been just as important in modern European history—a path for Europeans to embrace their national identities even as they surrender some of their sovereignty to the greater Union. And, as things are shaping up, it looks like it will continue to be an outlet for fellow Europeans to bond over their shared project, including some of its recent misadventures. Speaking of which, do you know the capital of Greece? It’s about $12. And wasn’t it refreshing to see England leave Europe via referendum, as opposed to the usual, via penalty kicks? Romain Seignovert is a Brussels-based writer and author of the book De Qui Se Moque-t-On? (Who Do We Make Fun Of? ), an anthology of jokes that Europeans tell about each other. He also owns and blogs for the website Europe’s Not Dead. Primary Editor: Andrés Martinez. Secondary Editor: Kirsten Berg. *Photo by Michael Probst/Associated Press.